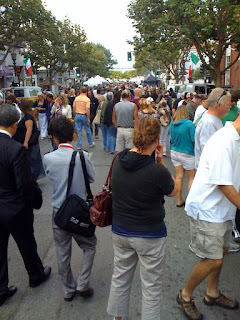 The weather changed on the hour and the music was just as eclectic on the second day of the Monterey Jazz Festival. Morning haze gave way to hot afternoon sun in time for John Scofield and the Piety Street Band, fog rolled in and saved my brain from boiling (the Arena is open-air), the temperature fell along with the evening, and by the time the big red curtain opened on Jazz at Lincoln Center Orchestra, people were wearing coats and gloves. The Festival is its own collection of microclimates. We enter the Arena in time for “The Angel of Death,” guitarist Scofield’s take on the Hank Williams tune. He introduces it as “the scariest song he knows” but it’s hard to be scared in a happy crowd of people in floppy hats and sunglasses. I have not been a close follower of Scofield, my bad, but I do like this group. Rootsy, rollicking, soulful. The set closer, “It’s a Big Army” (“I’m a soldier in the army of love/I’m a soldier in the army”), rocks the audience. Roland Guerin takes a slappy bass solo, drummer Shannon Powell bangs the tambourine, and pianist/organist Cleary shouts the lyrics. I want to be a soldier, too. Off to a conversation at Dizzy’s Den: “70 Years of Blue Note Records.” On stage: host Ashley Kahn, Blue Note’s Michael Cuscuna, and two great Blue Note artists, Bobby Hutcherson and Joe Lovano. Kahn lets his guests do most of the talking and they share stories and memories. 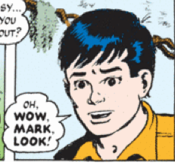 By now we’ve met up with friends and spend the next couple of hours parked at a picnic table in the grassy food court. The open-air Garden Stage is nearby and the music of Ruthie Foster is our soundtrack. It’s glorious. According to Festival tradition, the end of the table we’re not using is taken over by a changing cast of characters bearing chicken wings, mud pie, and stories of why they’re here and what they’re enjoying. The first Arena show of the night was originally pianist Hank Jones and the Joe Lovano Quartet. When Jones cancelled for health reasons just before the Festival began (he recently played the Detroit Jazz Festival, lucky Detroit), Scofield stepped in. So the set we hear is completely different from what it might have been. With the dream team of John Patitucci on bass and Brian Blade on drums, the group powers through Lovano’s “Fort Worth,” Scofield’s “Since You Asked,” and what I think is a Monk tune. Lovano starts the set by telling us what they were playing, then stops, caught up in the music. (Not for the first time, I submit this humble request on behalf of writers everywhere: Please, mighty jazz greats, take a second and tell us what you’re about to play or have just played.) It’s raucous and wailing, a showcase for four remarkable musicians; at one point, Lovano plays two soprano saxophones simultaneously. People sitting near me think it’s a bit too squawky. The group Wayne Wallace and Rhythm & Rhyme takes a long time setting up on the Garden stage, and we soon know why: It’s a big Latin band, complete with at least twelve musicians and seven vocalists. This is a group I don’t know, chosen partly because when we duck into the Night Club for the Ambrose Akinmusire Quintet (with the wonderful Gerald Clayton on piano), it’s steamy inside. So we wait while the crew brings out what seems like an endless supply of microphones and instruments, then someone tests every microphone, and finally the band members take their places. A big Latin band is a thing of beauty, its leader the eye of a musical hurricane. Seeing Wallace, I’m reminded of the estimable Pancho Sanchez. A lot of people play a lot of instruments and several rhythms simultaneously. It’s exciting. I’m especially interested to see a woman saxophonist on the front line, and I’m sorry I don’t catch her name. The band plays music from their acclaimed CDs, The Reckless Search for Beauty and The Nature of the Beat, including Wallace’s arrangement of Gerry Mulligan’s “Jeru,” Duke Ellington’s “A Chromatic Romance,” and Gershwin’s “Fascinating Rhythm.” They throw in something by Earth, Wind & Fire. Wallace calls them “transmogrified songs,” a perfect description for what we’re hearing: tunes we think we know turned into something new. It starts out a bit uneven and fusiony (to my ears) and at first I wonder how long I’ll stay on the cold, hard metal Garden Stage bench, but I’m soon won over by Wallace and his band, who now have two more fans in Minnesota. We think we might be late for the Jazz at Lincoln Center Orchestra at the Arena but we’re just in time. The curtain opens on a band that gets better every time I hear it. It’s JLCO’s first time at Monterey since 2001 (when the Festival happened very soon after 9/11; I wasn’t present for that one but it must have been something). Tonight they’re all heat and excitement and precision, a wall of brass held together by the splendid rhythm section of Dan Nimmer on piano, Carlos Henriquez on bass, and Ali Jackson on drums. The set is simply thrilling from the first notes of Kenny Dorham’s “Stage West” (arranged by the fine young trombonist Vincent Gardener) through Henriquez’s final notes on his arrangement of Joe Henderson’s “Shades of Jade.” In between: Lou Donaldson’s “Blues Walk” (arr. Sherman Irby, so swinging), Wayne Shorter’s “Free for All” (arr. Wynton Marsalis), and Lee Morgan’s “Ceora” (arr. Ted Nash). Nash’s take on this tune is sweet: breathy flutes, muted trumpets, room for a sparkly solo by Nimmer. Say ahhh. The band is billed as Jazz at Lincoln Center with Wynton Marsalis, but nearly everyone had his turn in the spotlight tonight. The whole set was ridiculously stellar. I stood the entire time (at the side of the stage) and if they were still playing I’d still be standing. It’s late. After midnight. Time to head back. But first, a Dee Dee Bridgewater nightcap. She’s playing at Dizzy’s Den (her second set of the night; she preceded JLCO in the Arena), it’s on our way to the gate, and she must be wrapping things up by now, right? Wrong. She’s just getting started and she’s on a tear. I’ve seen Bridgewater several times before—an October 2007 date at the Dakota with her Malian project has a permanent place on my Top Five list of live music performances—but never as she is tonight: Dee Dee unbound. She sings, she talks, she flirts with the audience, she flirts with her band: Edsel Gomez on piano, Ira Coleman on bass, Vince Cherico on drums, Luisito Quintero on percussion. She tells us about her upcoming divorce (her third), she scats and growls, she makes her voice a horn, she fills the room with her personality and broad, sweeping gestures. She pulls no punches and she’s spicy tonight, a little too spicy for some people. The man sitting next to me hates her. And yet, he doesn’t leave. We stagger out the door at 1:45 a.m., after the patient stage manager (a 25-year veteran of the festival) has politely asked Gomez to politely ask Bridgewater to please wrap things up so folks can go home. I’m guessing this is one of those Monterey shows that will go down in the history books. Dee Dee Bridgewater, force of nature, shaved-head warrior queen. 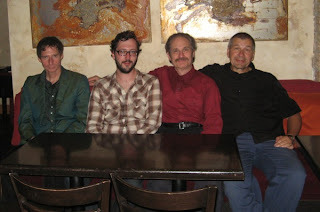 When Buffalo Collision (Ethan Iverson, Tim Berne, Hank Roberts, Dave King) played the Dakota late-night shows on Friday and Saturday, Ethan heard we'd be at the Monterey Jazz Festival, where the group was scheduled to perform on Sunday afternoon. He had his hat with him, brought it along, wore it onstage, and made my day. There are many ways to experience the Monterey Jazz Festival: as a sit-down meal of many courses, as a buffet, as a snack tent (like the new-this-tear Taste Tent on the Midway, where you can sample foods and beverages from a variety of festival partners). This is my fifth year here and I should have a routine by now but I don’t. 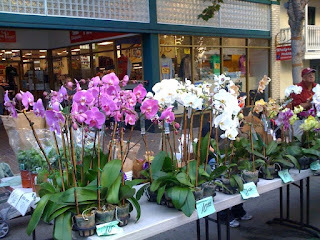 The happy problem with Monterey, and any festival where you have to make choices, is you have to make choices. You can’t be in two places at once, or in this case six, the number of venues where you can hear live music. I start with a plan but it always falls apart as I’m distracted by a new name, a buzz, or sounds coming out an open door. 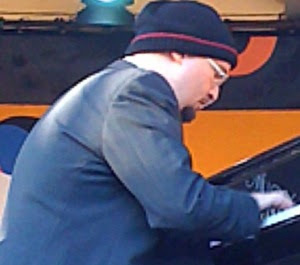 On Friday, the opening night of the three-day festival, we enter through Gate 3 and duck into the Night Club for a few moments with the Scott Amendola Trio. Screaming guitar. Too much, too soon. 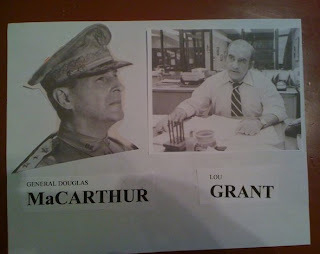 I learn later that the show worked up to this level of frenzy and had we been there from the beginning it would have been fine. I promise to get a CD. My photographer husband and I catch the end of New Orleans piano player Jonathan Batiste’s first set at the Coffee House Gallery. (At the Coffee House, artists tend to stay put for the evening, playing more than one set.) A bit of “We Shall Overcome,” then something in which Batiste sings “you got to hold on.” He sings, he plays piano with his hands and his fists, he plays melodica and piano at the same time. He’s amazing. His fired-up band includes Eddie Barbash and Matt Marantz on saxophones, Philip Kuehn on bass, Joseph Saylor on drums, and someone on trombone whose name I didn’t catch. All look almost too young to be out without their mamas. It’s near the end of Esperanza Spalding’s set at the Arena. This year, the young bassist/vocalist/composer is the Arena opener, a sign that You Have Arrived. We saw her earlier this year at the Dakota Jazz Club in Minneapolis, and she also played the Twin Cities Jazz Festival in June, an outdoor event during which Prince sat in his limousine behind the stage, listening and calling her on his cell phone. Earlier, as we walked toward the Monterey County Fairgrounds, the Festival site, we overheard a woman ahead of us tell her companions “Esperanza Spalding is a good bass player, but she also wants to be a singer, and if she asked me, I’d tell her to stick to the bass.” Perhaps she felt differently after tonight. 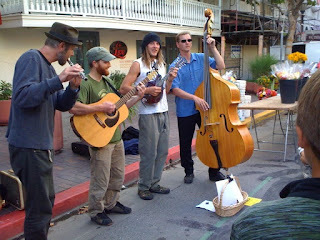 Spalding’s singing and bass playing are intertwined. Although I can’t begin to understand how someone plays bass the way she does and sings at the same time, which often includes complex scatting, I’ve seen it enough to believe that this is who she is and how she expresses herself. Her supportive and intuitive band is Lee Genovese on piano, Ricardo Vogt on guitar, Otis Brown on drums. The Arena’s second event of the night, one we’ll see in full, is this year’s version of the Monterey Jazz Festival All-Stars supergroup: Kenny Barron on piano, Regina Carter on violin, vocalist Kurt Elling, and Russell Malone on guitar, with Kiyoshi Kitagawa on bass and Johnathan Blake on drums. As the curtain opens, the band is already playing and Elling is already singing: “My Love, Effendi,” his vocalese spin on the McCoy Tyner tune. He slides from words into scatting, which many in the audience have come to hear (someone yells “Go, Kurt!”). Throughout the set, Elling acts as unofficial emcee, announcing the group members and occasionally passing the mic to someone else. He and Carter take the spotlight for the lovely old Sigmund Romberg/Oscar Hammerstein song “When I Grow Too Old to Dream,” after which Carter and Barron play a ballad that acts like a big, gentle, quieting hand on the crowd; it seems that everyone listens and no one wants to miss a single sweet note from Barron’s piano or sigh from Carter’s bow. Malone is featured next in a quartet with Barron, Kitagawa, and Blake, then the mic goes to Barron, who announces his original composition “What If?” It’s a Monkish tune that opens up midway for an Elling vocalese that begins “What if Jack Kerouac showed up tonight with his pockets full of snippets of ideas?” Then he tosses out several—“Girls running up library steps with shorts on,” “boys smashing dandelions with a stick,” “all day long, wearing a hat that was not on my head,” “drunk as a hoot owl, writing letters by thunderstorm”—and someone in the band responds to each in a playful back-and-forth. More highlights of this generous set—for which, Elling explains, the group prepared with only two short rehearsals together, “but together we probably have over 300 years of rehearsals, all so we could be ready for you tonight”—include the saucy Jon Hendricks/Horace Silver collaboration “Soul Food,” and Malone’s take on “Time After Time.” After a naughty introduction—something about an older singer who taught him how to treat a ballad like a kiss—Malone does that thing he does: plays guitar so beautifully you could swoon. Backed by Barron, Kitagawa, and Blake, he hands us soft, feathery notes, delicious chords beneath the melody, and an elegant ending. All four of the All-Stars shine tonight, but it’s Malone who steals my heart. Festival director Tim Jackson has made Forro in the Dark one of his Top Ten picks, so we head next to the Night Club. Forro is the rural party music of northeastern Brazil, and this Brooklyn-based group of Brazilian expats probably isn’t used to playing to a seated crowd. They urge us to get up and dance, and a few do, but it’s hard on a carpeted floor. This is a fun, energetic group I would like to hear on their home turf, which for now is the East Village nightspot Nublu, where they play weekly. As they update the sounds of their traditional music, they do it with a blend of new and old instruments: electric bass and guitar, pifano (bamboo) flute, zabumba (a type of bass drum that is worn by the musician and played on both sides), saxophone, percussion. They play originals, at least one song by Caetano Veloso, and a ballad. The band members are Jorge Continentino on saxophone, pifano flute, and vocals; Joao Erbetta on guitar an vocals; Gilmar Gomes on percussion and vocals; and Adriana dos Santos on zabumba and vocals. The only non-Brazilian among them is bassist/vocalist Masa Shimizu, who’s originally from Tokyo and met the others in NYC. The house is nowhere near full but no one is sitting still. Across the way at Dizzy’s Den, Esperanza Spalding is still playing her second set of the night, and we score seats near the front in time for her final tune, the audience sing-along she’s becoming known for: She scats a simple phrase, we repeat, another, repeat, and then she lets loose with a long, showy verse that makes everyone gasp and laugh. It’s a joyous end to the evening. Back at the Hyatt, the hotel where most musicians stay (it’s within walking distance of the fairgrounds), the bar is full and noisy. 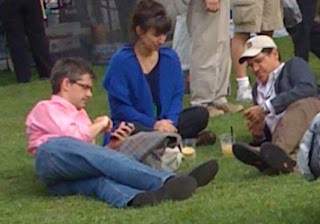 We spot Regina Carter right away; Kurt Elling walks in wearing a white baseball cap. New Orleans pianist Henry Butler, who performs on Saturday evening, plays “Caravan” on the piano; Jonathan Batiste joins in on his melodica. My only regret: missing the John Patitucci Trio earlier tonight, which I’m already hearing was awesome. Random first-night memories: Tepanyaki rice bowl from the Korean BBQ booth. The kids at the Best Buy tent (Best Buy is this year’s seller of CDs) playing “The Beatles: Rock Band” game and paying no attention to the jazz on the Garden Stage across the way. The Hat Man at the Arena gate, wearing a felt moose head hat and telling everyone “It’s my chocolate moose.” A couple here for the first time, wondering what to hear and see, up for anything. That’s the spirit. Because sometimes you see or experience something so amazing you can't believe your luck. Like a pair of humpback whales in the water right beside your boat. 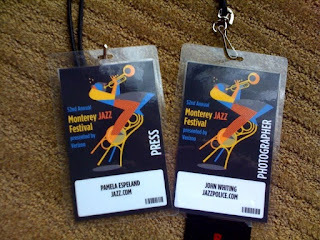 HH and I are in Monterey for the 52nd annual Monterey Jazz Festival, which doesn’t start until Friday. Until then it’s vay-cay-shun. Which begins with our annual stop at the Swanton Berry Farm on Highway 1 for strawberry shortcake. Organic strawberries and real whipped cream on a sweet biscuit. Changes to Swanton’s this year include more furniture inside, more jams (which you can sample by spooning them onto animal crackers), and a young plaid-shirted employee who claims to be the biggest Vikings fan born in L.A. He asked if we had seen the day’s game. We had not. We were on a plane, squashed like sorry sardines among the other pleated, folded, pressed and compressed passengers on the full flight. At the hotel we talked first to the check-in person and second to the concierge. A concierge is someone you want to know and treat with utmost respect. The one at the Hyatt Monterey has been here for 20 years. So you can say to her such vague, nonspecific, beetle-brained things as “I picked up a card at a small Italian restaurant in Pacific Grove last year but left it on my desk at home” and she’ll say “Oh, you mean Joe Rombi’s, would you like me to make a reservation for you?” Crab cake followed by the Sunday spaghetti-and-meatballs special, with meatballs the size of cannonballs, and a nice chianti. On Monday we drove to Moss Landing, which (according to the Insiders’ Guide to the Monterey Peninsula, an extremely detailed and useful book) is supposed to have a lot of antique stores. Maybe it used to but it doesn’t anymore. The recession seems to have kneecapped this little town on the shore of Monterey Bay. We were the only people in the shops we visited and the café where we stopped for liquid refreshment. Moss Landing is, as of 2008, the new home of the Shakespeare Society of America, where we spent an hour or so talking with CEO Terry Taylor and where HH got his picture taken in two Your-Head-Here life-size cut-outs, one a knight and one a king. (See above for the king; the knight's on fb.) Taylor’s background includes a passion for the Bard, a degree from Maharishi University of Management in Fairfield, Iowa, and a career in consulting and cell phone sales. The Shakespeare Society building is full of prints, paintings, costumes, busts, scripts, books, and models of the Globe Theater. It is a charming, strange, and fascinating find in this town of 300 people. Taylor pointed us up Hwy 1 to a dock that was installed for visitors in 2008 but was almost immediately taken over by sea lions. Posted signs warn against trying to rescue any and explain that overpopulation has led to disease and starvation. I’m not an expert at estimating the size of crowds but am guessing the dock held more than 1,000 sea lions. They were packed tighter than we were on our flight from Minneapolis. When the wind shifted, they smelled very bad. Make that very, very, very, very bad. 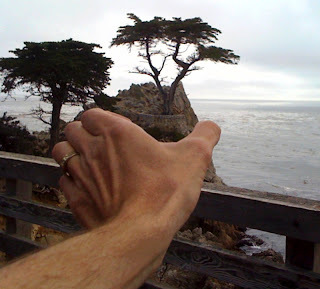 Back in Monterey, we walked the Monterey Recreational Trail from Fisherman’s Wharf along the ocean to the Seven Gables Inn in Pacific Grove and back again. Then dinner at the Monterey Fish House, another tip from Her Holiness the Concierge. Oysters on the half shell, crab ravioli, grilled artichoke, calamari Sicilian (in red sauce with calamata olives). Noisy, crazy, packed, delicious. We sat at the bar. The man seated to our right was a physician who had worked at the free clinic in Haight-Ashbury during the 1960s, when patients included people like Janis Joplin and Jimi Hendrix. 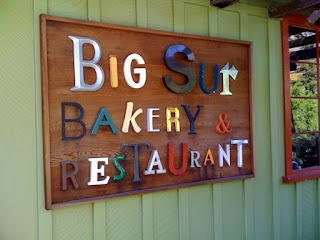 He urged us to spend at least one day in Big Sur, something we plan to do anyway, and offered specific suggestions: Buy chocolate-chip cookies from the Big Sur Bakery. Sit on the deck at the Ventana Inn. 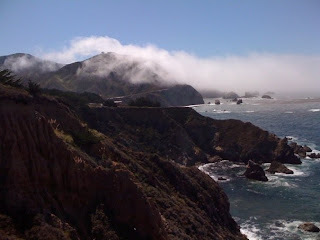 And walk barefoot along Pfeiffer Beach where, he promised, the surf sounds like jazz. 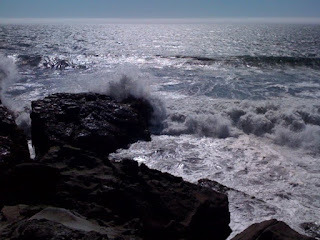 More photos--sea lions, houses in Pacific Grove, whatever--may come later once HH downloads his camera card.